YES! Our “beast” will be unleashed on 27th February at the legendary Kulturfabrik! Our friends from Heaven’s Scum and Infact will join us on stage on that very special night. find all important info on this flyer! This entry was posted on 7. October 2015 by Sleepers' Guilt. 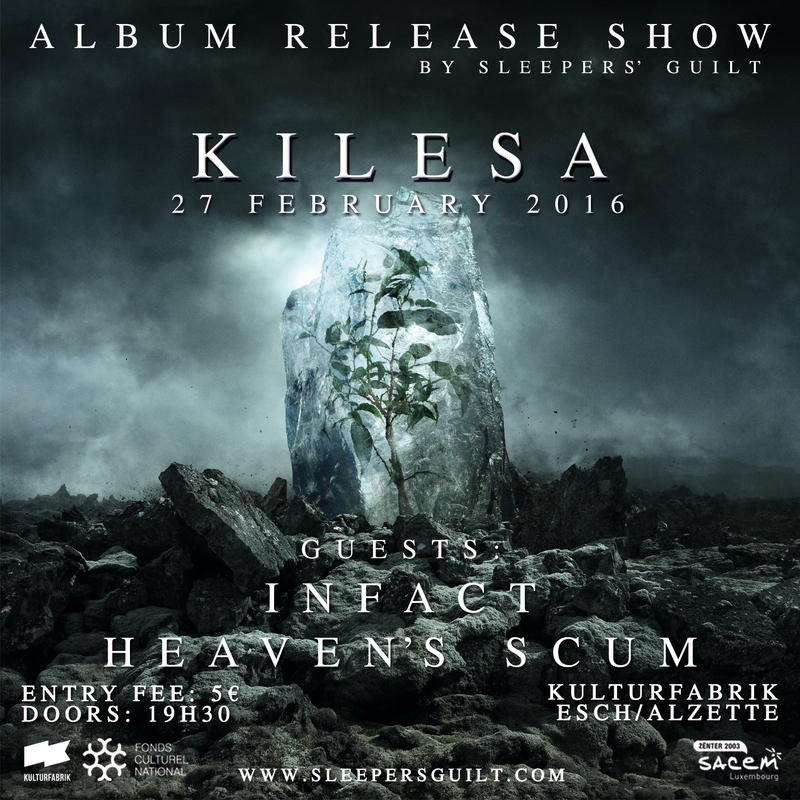 It was filed under Music, Release, Shows and was tagged with death metal, heaven's scum, Infact, Kilesa, Kulturfabrik, metal, release, Release Show.